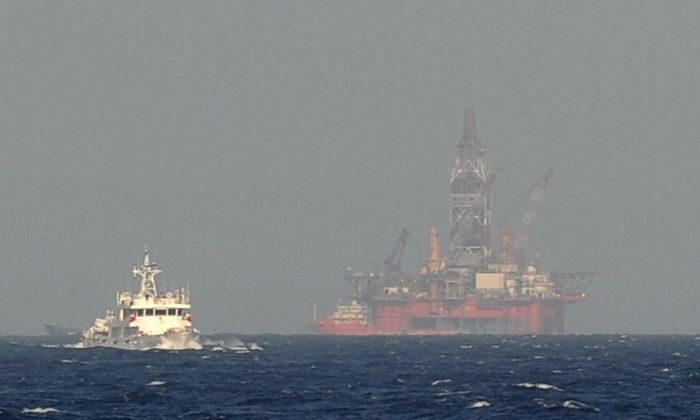 China recently completed building its first deepwater well in the South China Sea, a technical breakthrough in the country’s offshore drilling efforts as it looks to secure more energy resources. Meanwhile, Japanese conglomerate Toshiba said a proposed deal to sell its U.S. liquefied natural gas business to a Chinese company has failed because of delays in obtaining approval from U.S. authorities. On April 8, China National Offshore Oil Corp. (CNOOC), the country’s largest state-owned offshore oil producer, announced on its official website that China’s first domestically constructed deepwater drilling development well, located in the eastern part of the South China Sea, was completed on April 1. The well will supply liquified natural gas (LNG) and crude oil to the Guangdong-Hong Kong-Macao Greater Bay Area, an area of southern China that Beijing hopes to turn into a high-tech economic hub. The well is 4,660 meters (15,290 feet) long, with a vertical depth of 2,529 meters (8,297 feet), and a sea-water depth of 680 meters (2,231 feet). The well was drilled by the “HYSY 981” offshore drilling platform, also developed by CNOOC. But its construction wasn’t without controversy. The well was built in disputed territory within the South China Sea—prompting frequent confrontations between Vietnamese ships and Chinese maritime forces. For example, in May 2014, the two sides clashed at sea after CNOOC moved the HYSY 981 to drill test wells in exploration blocks off the Vietnamese central coast, according to a Reuters report. The company later withdrew the platform after large scale protests and riots in Vietnam. Comments by a Chinese industry expert also hinted at China’s ambitions. As a big, energy-consuming country, China can’t produce enough oil and gas by itself, and has had to import crude oil from Russia, Saudi Arabia, Angola, Iraq, Iran, and other sources. According to official Chinese data released Jan. 14, China imported 461.9 million metric tons of crude oil, valued at 1,588 billion yuan ($236.87 billion), in 2018. Meanwhile, China produced roughly 4.8 million barrels per day in 2018, ranking it at the world’s fifth-largest oil producer, according to statistics by the U.S. Energy Information Administration. In recent years, the Chinese regime has turned to LNG—natural gas cooled and compressed into liquid form (at minus 260 degrees Fahrenheit) so that it can be transported efficiently on ships or over land—imported from Australia, Qatar, and Malaysia. Buying more LNG exports from the United States is a point of negotiation in ongoing trade talks between the two countries. The United States is the world’s largest producer of LNG and crude oil. China imported 125.4 billion cubic meters of natural gas in 2018, 59 percent of which was LNG, according to data by the state-run China National Petroleum Corporation Economy and Technology Institute. To guarantee a stable LNG supply, China is looking for opportunities overseas. Japanese company Toshiba said on April 11 that a deal with Chinese company ENN Ecological Holdings to buy Toshiba’s LNG business in the United States has failed. Both parties planned to close the deal in March, but the Committee on Foreign Investment in the United States, which screens foreign–U.S. deals for national security risks, hadn’t completed its review because of the U.S. government shutdown earlier this year, and the China State Administration of Foreign Exchange failed to approve ENN’s request to change from Chinese yuan to U.S. dollars for the acquisition, according to Nikkei. Toshiba has operated its LNG business in the United States since 2013. It has acquired rights to process 2.2 million tons of Texas shale gas into LNG annually over 20 years, starting in 2020.